It’s National Apprenticeship Week and there will be many stories in the media about the success of the government programme, but what benefit does the scheme bring to businesses? Apprenticeships were launched 11 years ago as a government-backed scheme aimed at providing school leavers with the opportunity to earn and learn, gain official skills certification, and start a long-term career path and bridge an emerging skills gap in the UK. Last year, 491,300 apprentices started their work placement in the 2016/17 academic year. There are real benefits to be afforded by businesses offering apprenticeships – not only do they boost business performance by helping employers develop a motivated, skilled and qualified workforce trained to their standards, culture and work ethos, but they also help employers to develop their workforce and fulfil their business’s needs, as part of their overall strategic planning. There are also tax breaks available to apprentice employers, including 0% National Insurance. Of interest, only employers that pay more than £3m in wages are liable to pay the apprenticeship levy. Levy-paying employers contribute 0.5pc of their total wages bill into a fund each month, which can be re-invested in apprenticeship training for their business. The government contributes 10p for every £1 contributed. For employers paying less than £3m in wages a year, you don’t pay the levy but the government will still fund 90pc towards the cost of your apprenticeship training. Here at McBrides, we have taken on three apprentices in the past year and we haven’t looked back. 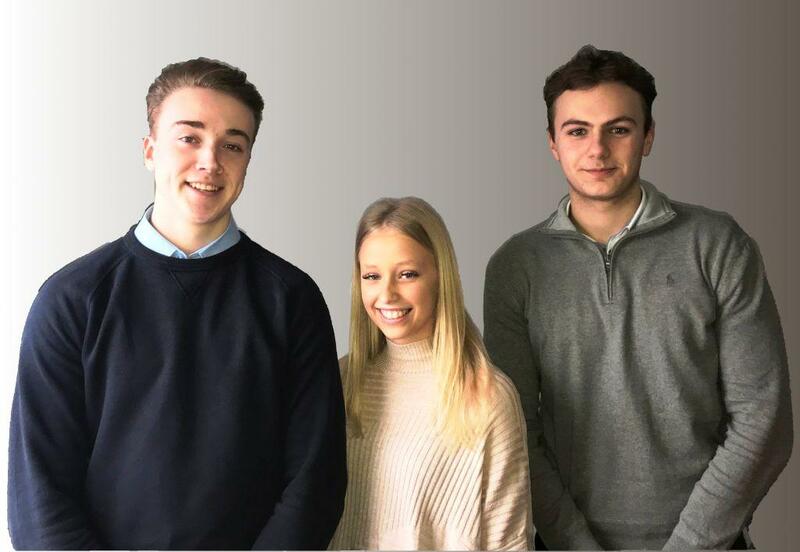 Joseph and Ben are studying the Level 2 Association of Accounting Technicians apprenticeship, while Isabelle is studying for the Business Administration BTEC apprenticeship. They’ve all settled in well and are making a valuable contribution to both our firm and our clients too. Based on this success we plan to recruit at least two more apprentices in 2018. We firmly believe that there is a wealth of talent on our doorstep and feel that we have a duty as an established local firm to provide training for local people. We advocate looking into apprenticeships to help plan for your business’s future growth. So what’s stopping you? To find out more, read our factsheet All change for apprenticeships.